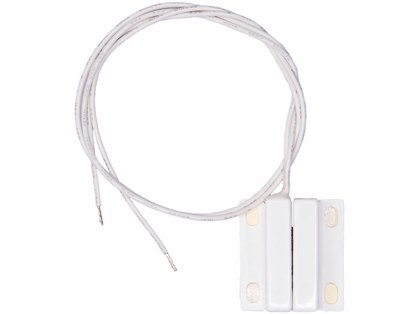 Magnetic Reed switches are used to report unauthorized entry into a main cabin through a door or external hatch. Reed switches can be connected in series to monitor multiple entry points, providing secure protection against theft. In the event of unauthorized entry, the switches will trigger the Siren Marine unit to send out an entry alert to all four recipients, and can also be configured to simultaneously sound a piercing audible alarm on the boat.